Posted November 2, 2011 by Sage & filed under Media, Training and Racing, Yoga. 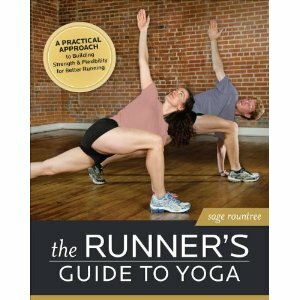 If you like to plan your 2012 season way ahead, you might also like to order my newest book, The Runner’s Guide to Yoga, which will be out in April. It’s now available for preorder on Amazon (you’re guaranteed the best price when you preorder). Please check it out! I hope it is a useful guide to runners looking for balance in their bodies. As the subtitle explains, it’s “a practical approach to building strength and flexibility for better running.” It covers breath exercises, meditation, and yoga philosophy, as well as poses, offering you tools to improve your running and your connection with your body, mind, and spirit. Congratulations on the new book, Sage!